In November last year, we welcomed a new member to the Italian AndroidPIT team (although we won't be calling ourselves that much longer) - Simone. With him came the opportunity for both of us to find a new and more spacious home. Obviously, as you can imagine, two geeks like us did not waste any time - we immediately set on the task of transforming our apartment into a smart home. Just to understand what my friend and colleague Simone and I went through, we had an internet connection even before we had a table and chairs in the kitchen. Before my wardrobe arrived... And even before Simone's bed did. In short, we had our priorities in order! A good internet connection is the basis of every self-respecting smart home. The entire house needs to be always connected and fully covered by a high-speed Wi-Fi network. We therefore relied on a pair of Netgear Orbi mesh Wi-Fi routers (RBK40), the main unit of which is connected via Ethernet cable to the ISP router, in order to get the max possible speed. The second turret is positioned on the opposite side of the house, to make sure any device can connect to the wireless network without difficulty. Which devices are connected directly to the Orbi WIFI network? A smart TV, in our case a Xiaomi Mi Box (used for some AndroidTV apps) and an Xbox One X. These devices are able to stream content up to 4K@60fps in HDR using applications such as Netflix. It's therefore understandable how a fast and stable internet network is not only useful but necessary. Fortunately, the Orbi use an 802.11ac AC2200 wireless protocol that allows everything to work smoothly even without wires. Of course, smartphones, tablets and laptops are also currently connected to the Wi-Fi network. Okay, but using mesh routers and a smart TV is child's play - what's smart about all this? Nothing, the real challenge started as soon as the setup of the devices described above was completed. In fact, at this point we had to start installing and setting up the various bridges needed for the rest of the smart home to work. They represent the heart of the real smart home. Throughout the apartment we have 3 Philps Hue bulbs and 3 smart lamps, an LED strip and an Innr smart socket. To make all these gadgets work properly you must first connect the Philips Hue bridge and the Innr bridge to a power outlet and to the router via a network cable. Tip 2: There can never be too many power outlets in a smart home. Once you have connected and configured the bridges with their apps, it's time to tidy things up a bit. There's already too many wires. Counting the modem and the router, we have four devices to hide. The heart of our (still young) smart home is hidden in a nondescript locker. Only the elegant and modern Orbi is visible leaning on top. All present and future network devices and bridges will be neatly connected inside this cabinet. All cables are labeled and sorted: away from the eyes, away from the mind. The connection of the various lamps (Philips, Innr or any other brand) to the bridges is usually fast and painless. Open the dedicated application, look for the adding devices menu and click on each lamp connected to the bridge. This changes if you have used the lamps and bridges before and with a different wireless network. It was necessary for us to reset both bridges and every single gadget connected to them. The Philips smart bulbs were easy - resetting the bridge brings the lamps back to their initial state, thus making the operation fast. The situation was different with the three Innr bulbs and the LED strip. This way, Innr and Philips lamps are controlled by two different bridges, which makes it possible to update the lamps individually, but makes it impossible to "mix" different types of lamps in the same room. To solve thi problem, which I discovered only at the end of the configuration and at the end of the updates (obviously), I had to reset the Innr lamps again to connect them to the Philips bridge that is compatible thanks to the ZigBee standard. A lot of effort, but at least now there is one less bridge to deal with and the lamps work in perfect harmony. It would even be possible to connect everything to a third-party bridge like the one included in the Amazon Echo Plus, depending on the situation. In our case we preferred to keep the lights connected at this level for ease of operation and maintenance. The essentials are here and working (for now). But the lights are still only controlled by apps, the TV does not respond to voice commands and where are the smart speakers? The journey to create a real smart home has just begun and there is still a lot to be done. We will certainly have a lot of fun in 2019! 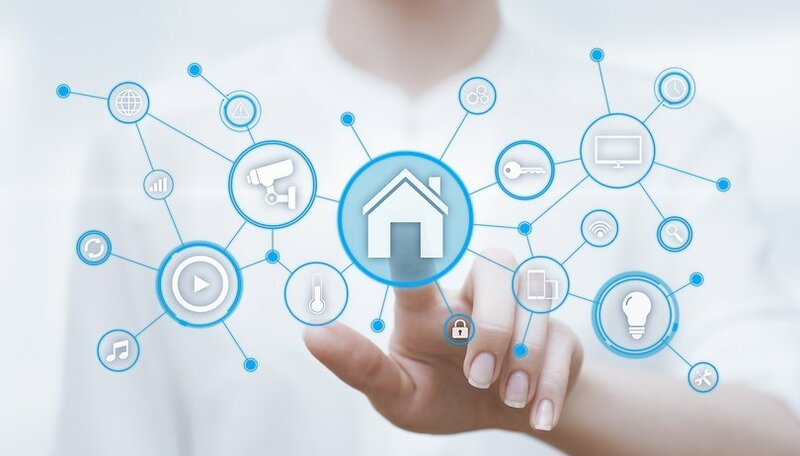 In the next part of the Casa Scanello (Scanello house) column (registered trademark, courtesy of Jessica Murgia 🤓) we will open our doors to two of the most popular voice assistants and expand the portfolio of connected devices thanks to interesting new gadgets. Continue to follow us and if you have any ideas or special requests about smart home, let us know in the comments! I am confused why do people choose expensive light bulbs and hubs? I've just upgraded a few light switches to wifi ones, added a cheap wifi plug to a lamp. This gives me the same control via app or talking to a cheap google home mini. I've also added an old chromecast to an very old non internet TV so google home can control this too. This saves buying new expensive light bulbs, or TV. To get wifi in the garden I also upgraded a plug socket to include a wifi extender. With this set up I have no extra wires or plugs showing or required. Plus I you cannot always find the type/size of wifi bulbs you need in your setup. Whats the advantage of your setup over this cheaper version? Oh, forgot to mention that we are also two people in the apartment and we both have control over the hub without sharing an account or private informations. Hue Labs have many options to make the bulbs even more smart. The bulbs can switch on calmly to wake you up, and you can combine it with presence sensors and other things. I think that they are expensive, but present some extras. Great article, I'm on my own similar path. Reasons peeps spend more than the cheapest Chinese 'smart' devices? Budget size, overall placement suitability, and future support, well, support in general as well actually. An example? Ok, support first- One of my hue lamps (that's bulb to the non electrician) had issues over a year into it's life, emailed Philips, last week as it happens, result? they are replacing it next week, and collecting the faulty one, from my house, when I choose. I'm happy. As you however look deeper into whole house synchronization (which is the point of the article I as I read it, you find that a lot, and I do mean A LOT (as in pretty much all) the cheap items (switches, I'm talking to you here, cheap led lamps?, You too) produce MASSIVE amounts of emf band interruption which in turn impacts on WiFi, Bluetooth and other types of devices of a similar bent. If you wish to automate a whole house cheap devices won't last long and will really hinder eachother, this is what I mean by 'placement suitability'. As for budget? We're all cheapskates at this point, I am an electrician, we fit home automation, and even Philips setups are pennies compared to what is out there, and by example, just looking at one module? To operate four lights? 200 to 500 pounds, and you'll need one for each set of lights. They make hue and Samsung 'smart' devices look, well, cheap, very cheap. The way I see it? Johnny Depp spends 30 million on wine a year. I spend a LOT less, but I'm not going to buy the cheapest, I'll buy what suits my earnings and taste. And that's what we'll all do. Just because it's cheap doesn't mean it's no use, but there is ALWAYS a reason it's cheaper, ultimately one decides based on several factors, not just the price. Me? I like to know it's at least from a named vineyard and it's not going to poison me, but others just wanna get drunk. To each their own, not judging, Cheers! Ps, I have used a very cheap IP camera for a monitor for just over a year, (just out of warranty), it was super cheap, functioned extremely well, and it died two weeks ago, manufacturer doesn't want to know, so it's in the bin, and hello more pollution. Just one side effect of mass produced cheapness, some people find this ok, I don't, if I can afford to avoid it I do, BUT if I can't afford the branded one I go cheap. Works for me either way.